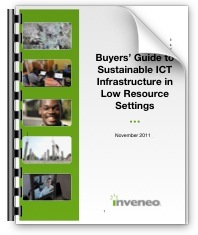 The Inveneo Buyers Guide to Sustainable ICT Infrastructure in Low Resource Settings is intended to serve as a planning tool for deploying information and communications technologies (ICTs) in low resource settings – i.e., communities lacking basic support infrastructure, such as grid power and broadband connectivity, and where computer skills among users and facilities managers are often limited. 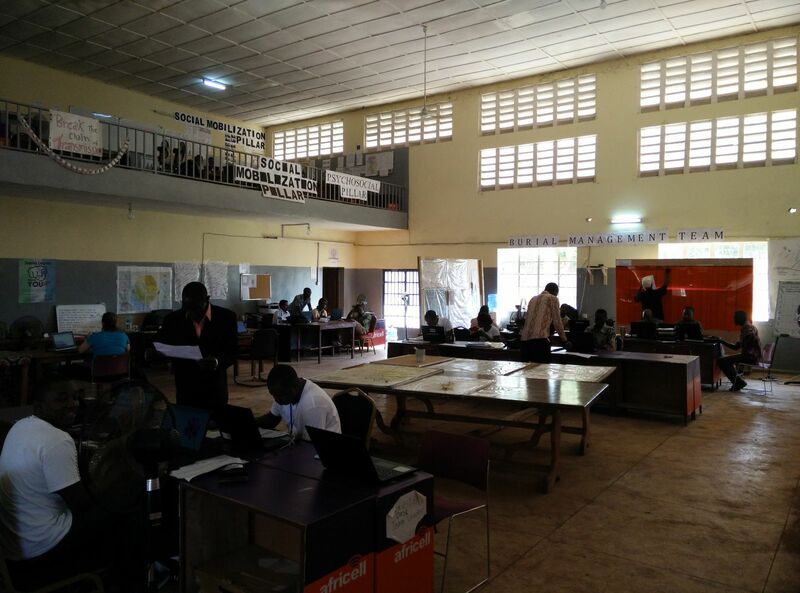 It highlights the most important considerations in the selection, design, deployment and support of general facilities, ICT tools and supporting power systems. 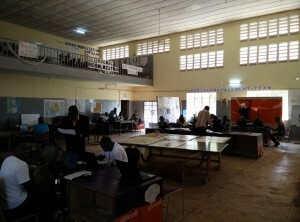 We have intentionally not addressed the complicated issue of mobile computing devices, opting instead to focus on the challenges facing those planning to deploy and operate shared access computing facilities such as school computer labs, community knowledge centers (CKCs), process outsourcing facilities, etc. The ICT Buyers Guide is divided into two sections. Part 1 covers the key factors to consider in selecting major infrastructure components, from buildings and facilities to computers, peripherals, software and connectivity. Part 2 discusses infrastructure support and logistical issues around deployment. Because there are many topics to cover, and to keep this resource as short and accessible as possible, each section starts with a brief introduction, followed, where appropriate, by a simple bullet list of key points to consider. 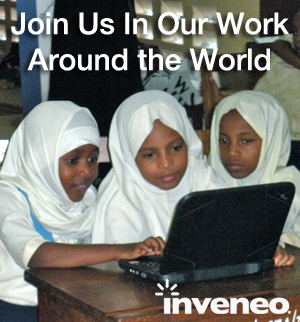 We invite you to provide your feedback on this document and ideas for improving it via email at info@inveneo.org. Inveneo Mobile Computing Solutions are rugged, energy efficient netbook computers designed for use in rural and other off-grid locations where electrical supplies are limited or unreliable. Inveneo now features two full-featured netbook reference designs from Intel Corporation that have been carefully selected and integrated into two configurations optimized for durability: the Classmate PC Clamshell & Classmate PC Convertible. Mobility: Lightweight design with handle, screen that rotates from laptop to tablet PC, and up to 7.5 hours of battery life. Ruggedness: Durable construction with water resistant keyboard, touch pad, and LCD screen, capable of withstanding a drop from 70cm. Versatility: Convertible transformation to table PC for multi-modal input: ergonomic stylus for writing directly on screen, built-in speakers, microphone, and rotational camera. 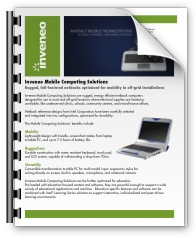 Inveneo Mobile Computing Solutions can be further optimized for education. Pre-loaded with education-focused content and software, they are powerful enough to support a wide variety of educational applications and activities. Education-specific features and software can be combined with Intel® Learning Series solutions to support interactive, individualized and peer-driven learning environments. A computer without Internet access is like a car without fuel. And in the developing world, access to the web can mean the difference between wealth and poverty, or even life and death when disaster strikes. 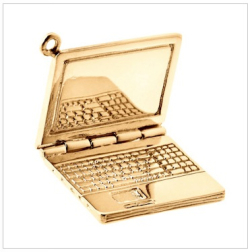 Now you can support Inveneo whether you’re a techie or a technophobe, by wearing this laptop charm that connects you to the world beyond your desk. The charm comes from Altruette, a classic line of charms with a philanthropic twist: each charm represents and benefits a different non-profit. Charms come with a “cause card” that tells the consumer about the non-profit it represents and 50% of the net profit from the sale of each charm goes to the cause partners, a group of 25+ non-profits. “For decades, women have worn charms to tell their personal story. 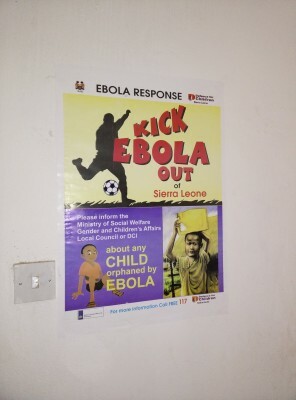 They also have the ability to tell the story of the causes they represent,” says co-founder Lee Clifford. Each charm is designed to symbolize the organization’s great work. 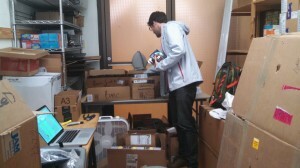 For example, the laptop computer charm benefits Inveneo, your favorite San Francisco based nonprofit that helps connect the developing world through technology.